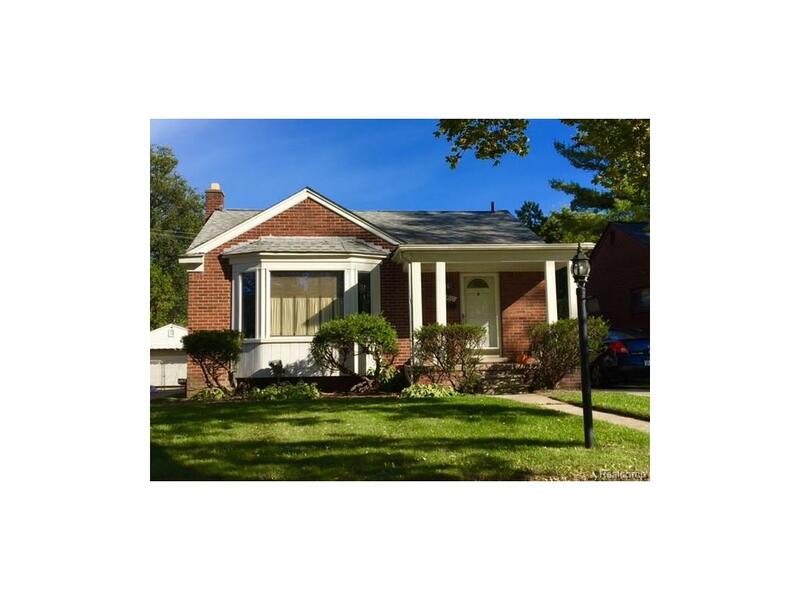 Don't miss the chance for a great Mid-Century brick Ranch backing up to Pleasant Ridge, in the Ferndale School District, and on a great Northeast Oak Park street. Near the Zoo, Royal Oak, and Ferndale's downtowns, and 696 & 75. You can't beat the location. Three bedrooms, Bay window in living room, nice dining area, coved ceilings, and beautiful oak floors. Kitchen with appliances and eating space. Original ceramic tiled bath. Basement was previously finished until 8/11/2014. Remake in your own vison using the awesome gas fireplace as inspiration. The porch is another great space with exterior globe lighting, two car garage with opener. Enjoy the security of a whole house generator. It's a great time to Make Home Here.